The State Supreme Court will hear oral arguments Wednesday in Jefferson City in the case of a man who was sentenced to death for killing two mid-Missouri jailers 16 years ago. Michael Tisius was convicted of two counts of first degree murder for the June 2000 killings of Randolph County jailers Leon Egley and Jason Acton. Tisius is currently under two death sentences. The Missouri Supreme Court has scheduled oral arguments for Wednesday morning at 9:30 in Tisius’ appeal, which involves claims of ineffective assistance of counsel. Prosecutors say Tisius and Tracie Bulington tried to break Roy Vance out of the old Randolph County Jail in Huntsville in 2000. Egley and Acton were both shot to death. 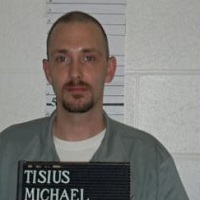 Tisius is being held at the maximum-security Potosi Correctional Center in Mineral Point. Bulington is serving two life sentences in Chillicothe, after being convicted of two counts of second degree murder. As for Vance, he’s serving a life sentence without parole in Potosi. Tisius will not be in the courtroom on Wednesday. There is no timetable on how long it will take the Supreme Court to rule.